There are almost as many schools of thought for selecting the correct fishing line for a given fishing environment as there are different types of lines on the market. All fishing line does basically the same thing, connects an angler's lure or baited hook to the rod and reel. 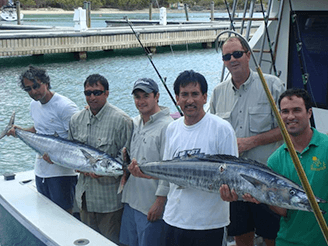 All fishing line is paid out, thrown or cast to place a lure or baited hook where a fish will see it. Once a fish is hooked, the line is all that stands between a prize catch or another "one that got away" story. Factors you need to consider when choosing a fishing line for any given fishing environment are; breaking strength, knot strength, how well it casts, stretch, softness, abrasion resistance, UV resistance and visibility. There are four basic types of fishing line. These are: wire, mono-filament, braided and fluorocarbon. Wire line is used for leaders, or as fishing line for large game fish. Other than sturgeons or similar monster river fish, wire line is almost always used for salt water fishing. Wire fishing line is produced in two variations: braided and single strand. Single strand fishing line is thinner and stronger than braided wire. However, single strand line does not bend well. Braided wire on the other hand bends easily enough to be tied into a knot to use as a leader, and is an ideal deep water line. As the name suggests, mono-filament is made from a single component. It is formed through an extrusion process in which molten plastic is formed into a single strand by pulling it through a die. The fishing line is extruded in a single, continuous filament and left untwisted. It is smooth, clear and provides a moderate amount of stretch. Mono-filament fishing line comes in colors designed to improve visibility above water, while keeping the line invisible to fish. Before nylon was invented, braided Dacron line was the most popular fishing line. Because Dacron has poor knot strength, limited abrasion resistance, and minimal stretch, its use declined after the more superior nylon mono-filament lines were introduced. Today braided lines are made of Dacron and other synthetic materials and retain a small niche in the marketplace. Because braided lines are a bit thicker, it is more commonly used for big game fish, by fishermen going after catfish, who believe its softness enhances catch rate, and fly fishermen use it as back line on fly reels. Fluorocarbon is a polymer that's nearly invisible in water because its refractive index is virtually identical to water. This feature offers advantages when fishing in clear water where the fish are skittish or slow to bite. Fluorocarbon line is also popular because it resists deterioration by sunlight, gasoline, battery acid or DEET, the common ingredient used in insect repellents. An added advantage of fluorocarbon fishing line is that it doesn't absorb water. Because fluorocarbon doesn't absorb water, it won't weaken or increase in stretch like nylon fishing line does. The strength of fishing line is called test. 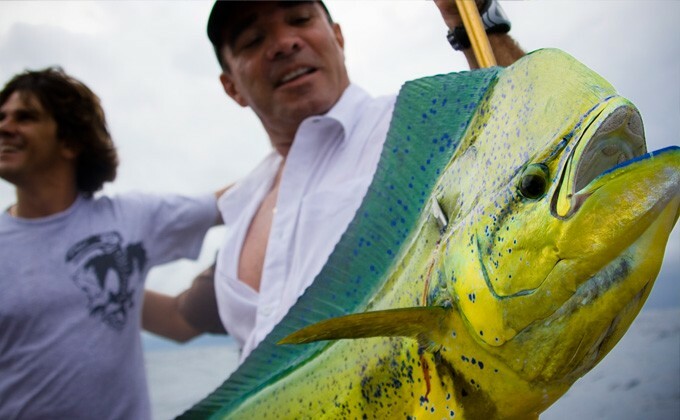 Test is measured in pounds and should match the weight of the fish you're after. 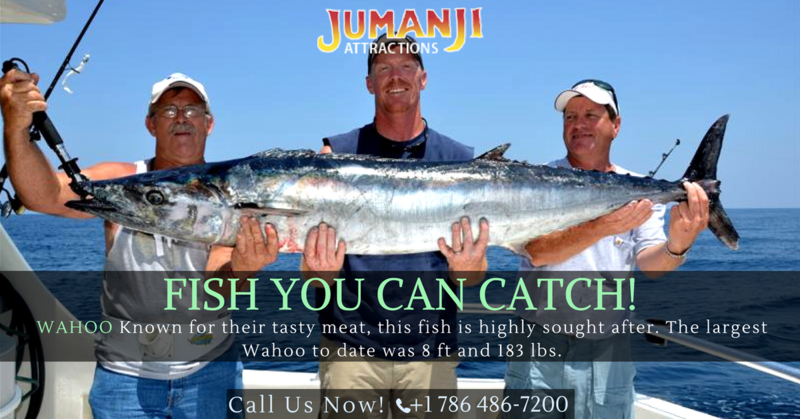 For example, you'd use a 30 pound test for larger game fish, whereas the fishing line used for trout would typically be a 4 pound test. Line stretch can be desirable, but then again it may not be. If you're an angler, less stretch in your fishing line means more sensitivity to feel the fish. That said, if you're trolling, some line stretch is desirable. Line stretching acts as a shock absorber, which can make the difference between a hook being set in a soft mouthed salmon, or being ripping out. Memory refers to a fishing line's ability to retain its shape. Less memory in computers is bad, whereas less memory in fishing lines is a good thing. Fishing line with more memory will "remember" the loops that develop when it's wound on a spool, whereas lines with no memory straighten when they come off the spool. Lines without memory produce less friction on guides and reel, which translates into smoother casts. Smoother casts go farther. Knots cause a line to lose up to a third of its strength, so you'll have to factor in the relevant strength decrease. If you're going to be fishing for a catch in the 20 pound range, you're going to have to use 30 pound test so your line has enough strength and shock resistance not to break at the knot. Lastly, you'll want to be matching the line to your rod and reel. A line that is too light may prove difficult to cast, or it may break if placed under excessive load. On the other hand, using too heavy a line can result in a broken rod. So fishing line selection is going to be more a case of the fish you're going after, and the fishing environment you'll be fishing in, that mandates the line you choose. This being the case, it's recommended you purchase a selection of fishing line that suits each situation you'll find yourself in when fishing.